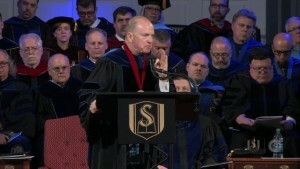 Dr. Akin gives a charge to the graduating class of Spring 2015 to go and be a light of the gospel in this world. 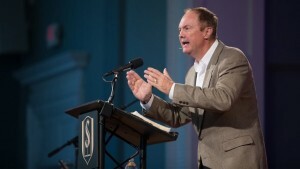 Danny Akin, President of Southeastern Baptist Theological Seminary, preaches on how the doctrine of hell is the reason we go. 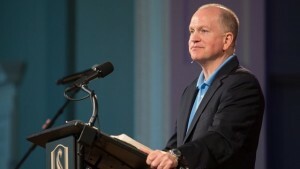 Michael Wilkes preaches on how we are to abide and remain in Christ. 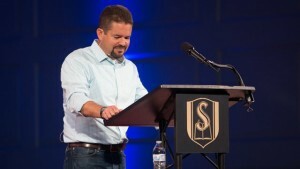 Matt Foshee preaches on how we are not to minimize the mercy of God. 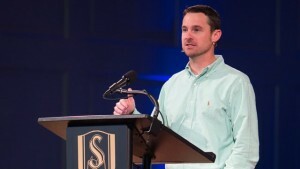 Johnny Hunt, Pastor of First Baptist Church Woodstock, charges students to go and share the good news that we have been given and go with it to those who do not have it. 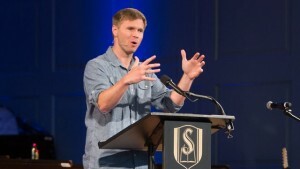 James Merritt, Lead Pastor of Crosspoint Church, preaches on how God gives meaning to any life and sends us out on mission. 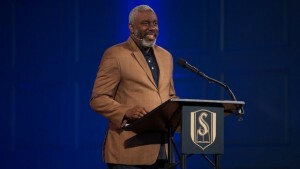 Thabiti Anyabwile, Assistant Professor for Church Planting at Capital Hill Baptist Church, preaches on how God uses our weaknesses to glorify Him. 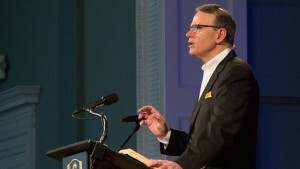 Allan Moseley, Professor of Old Testament & Hebrew, preaches Gods infinite love for His children. 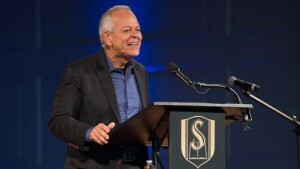 Bernie Cueto – Campus Pastor at Palm Beach Atlantic University, preaches from Revelation 2 on how our first love is to be our first work.